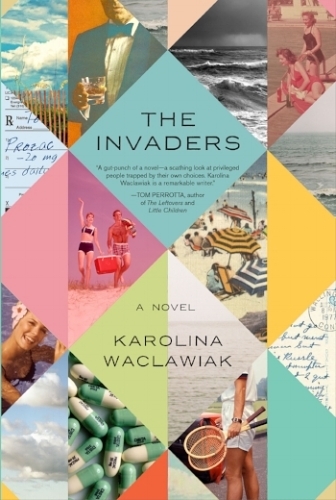 Karolina Waclawiak is the author of the critically acclaimed novels How to Get Into the Twin Palms and THE INVADERS. Her third novel, Life Events, will be published by FSG in spring 2020. AWOL, a feature she co-wrote with Deb Shoval, premiered at the 2016 Tribeca Film Festival and has received praise from The Hollywood Reporter, IndieWire, Marie Claire, and more. Formerly an editor at the Believer, she is now the Executive Editor, Culture at BuzzFeed News. Karolina received her BFA in Screenwriting from USC and her MFA in Fiction from Columbia University. Her writing has appeared in the New York Times, Los Angeles Times, VQR, the Believer, Hazlitt, and other publications. Her name is pronounced Karo-leena Vahts-lah-viak and she is repped by Kirby Kim at Janklow & Nesbit. "Just as Anya reinvents herself, Waclawiak's novel (her first) reinvents the immigration story... At its most illuminating, How to Get Into the Twin Palms movingly portrays a protagonist intent on both creating and destroying herself, on burning brightly even as she goes up in smoke."